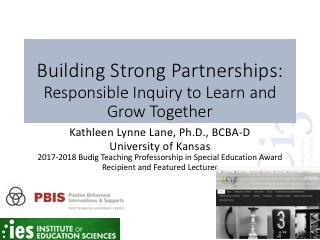 Below are PowerPoint presentations from previous professional learning sessions around the United States. 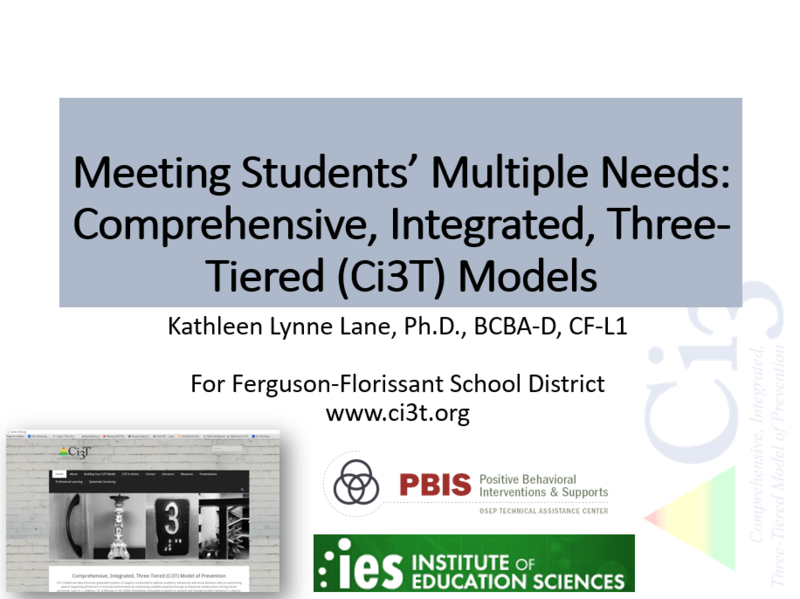 They are made available for your personal professional learning, or for use by you to present to your school faculty and staff. 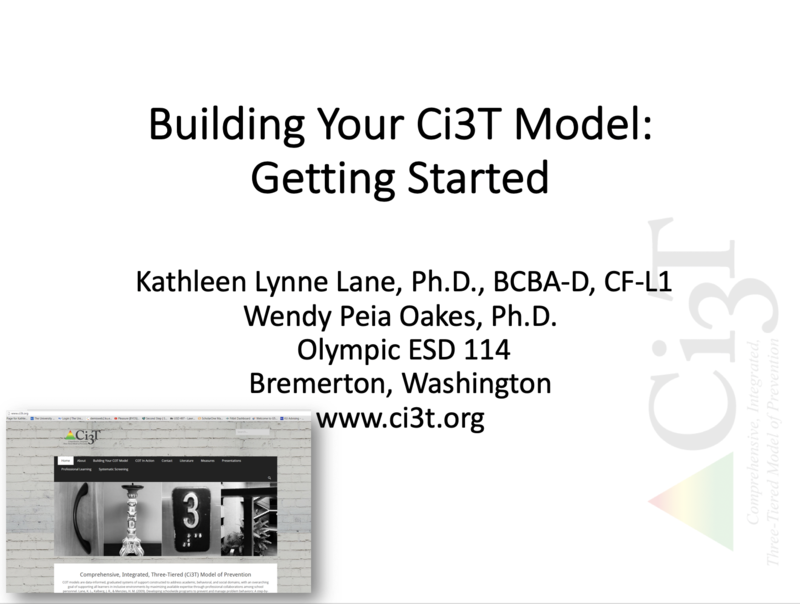 File sizes are large, so please be patient with the download. 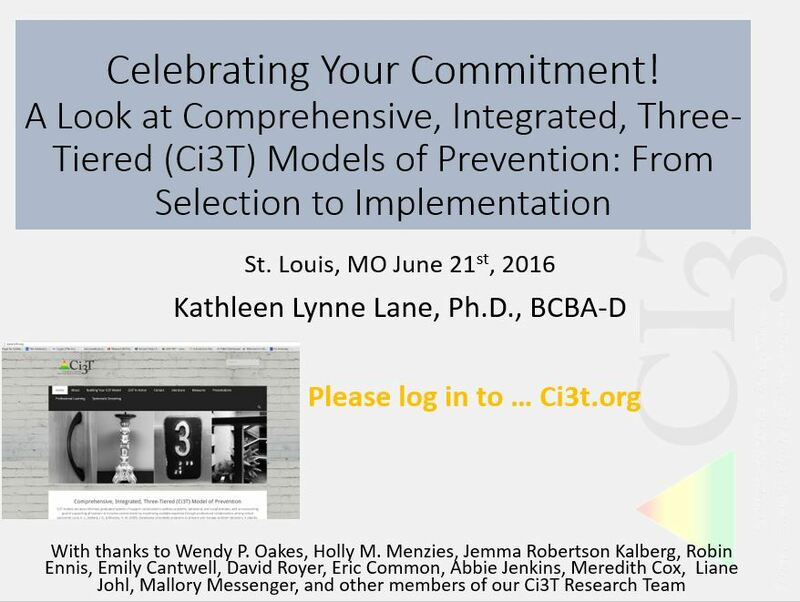 We will be adding more throughout each year, so check back! 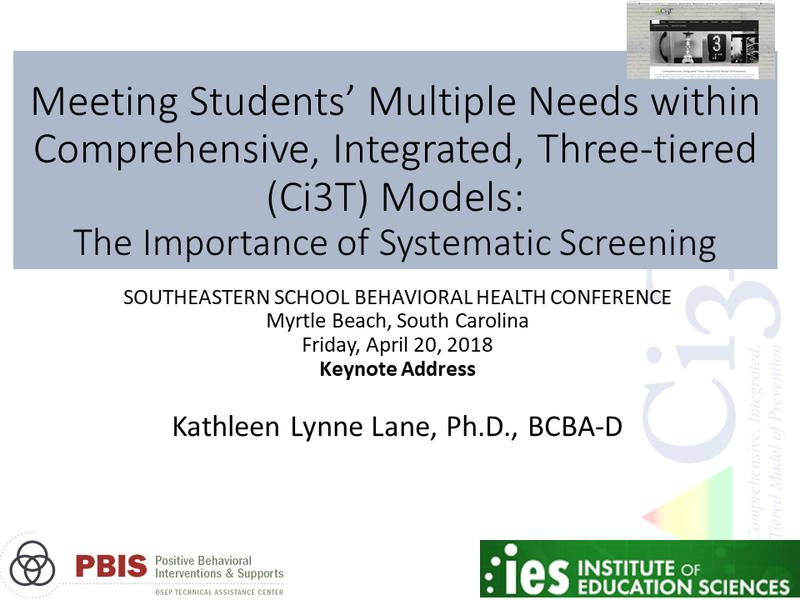 Southeastern School Behavioral Health Conference Keynote Address, Myrtle Beach, South Carolina, April 20, 2018. 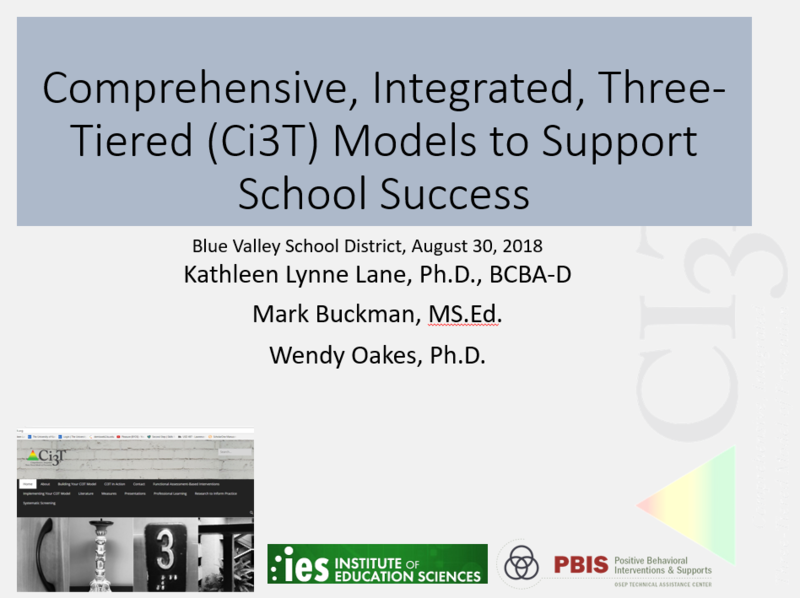 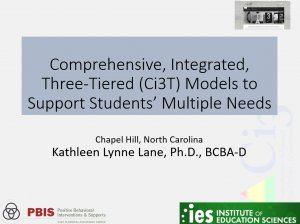 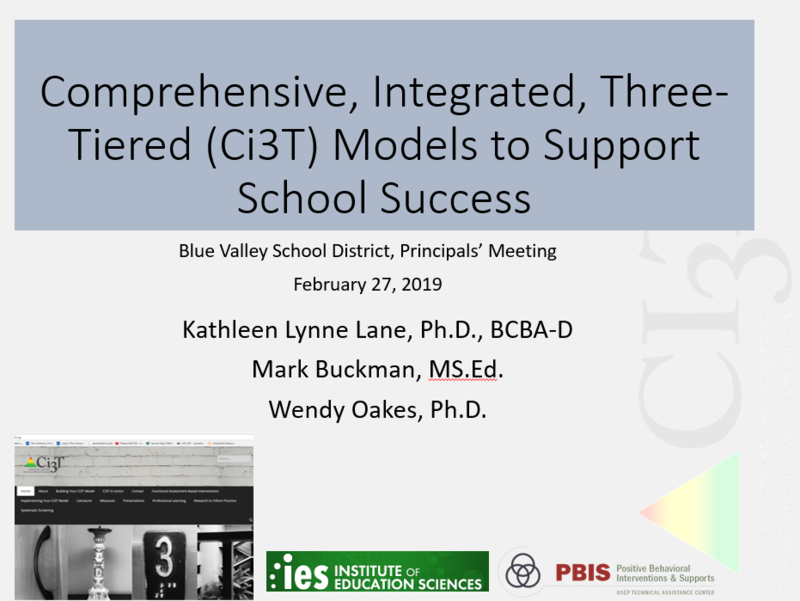 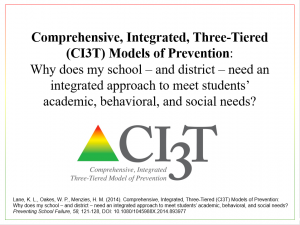 Comprehensive, Integrated, Three-Tiered (Ci3T) Models of Prevention: Why Does My School – and District – Need an Integrated Approach to Meet Students’ Academic, Behavioral, and Social Needs? 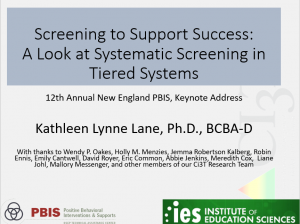 Systematic Screening to Support School Success! 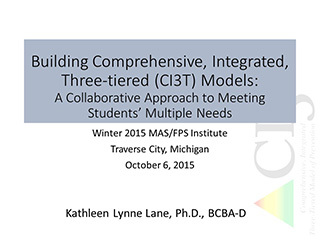 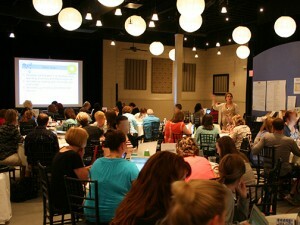 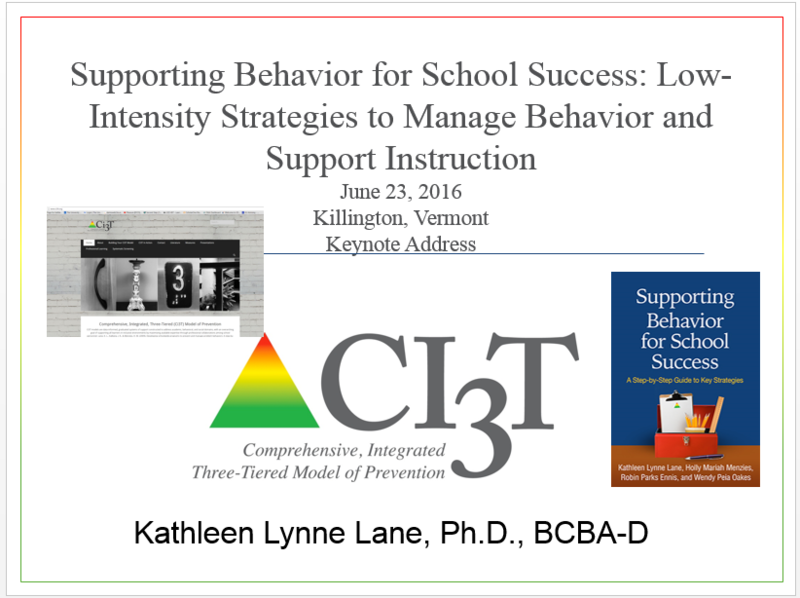 This keynote address was presented by Kathleen Lynne Lane for the Michigan Association of School Psychologists. 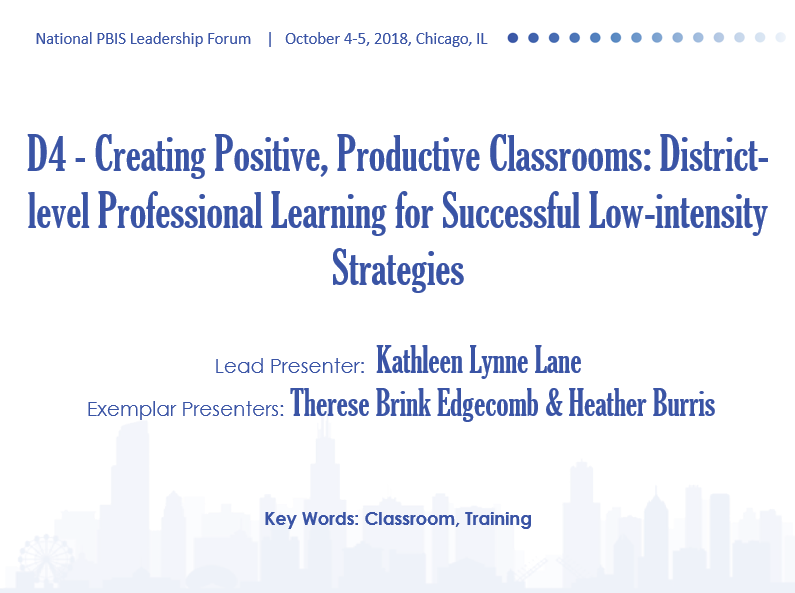 This keynote address was given to the Michigan Association of State Federal Program Specialists: Fall Directors’ Institute Building Your Toolkit for SUCCESS! 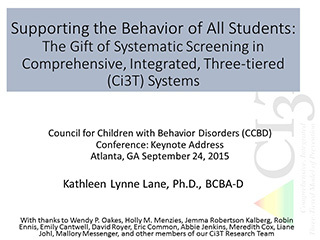 This keynote address was given to the Council for Children with Behavior Disorders (CCBD) Conference in Atlanta, Georgia on September 24, 2015. 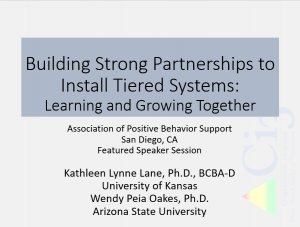 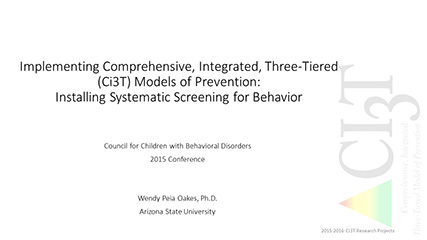 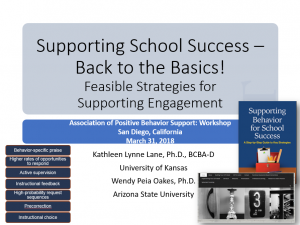 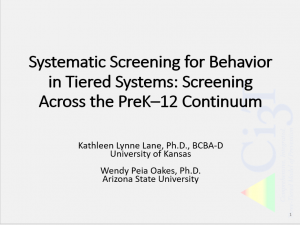 This presentation was given by Wendy Peia Oakes at the Council for Children with Behavior Disorders (CCBD) Conference in Atlanta, Georgia on September 24, 2015, exploring systematic screening for behavior through preparation, screening, scoring, interpreting, and responding. 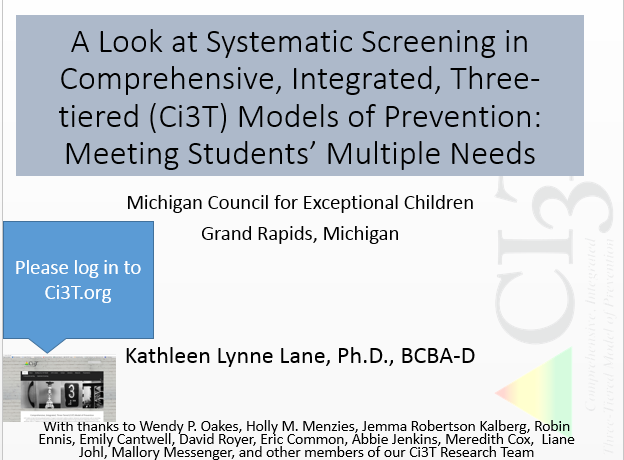 This presentation reviews comprehensive, integrated, three-tiered (CI3T) models of prevention, the importance of systematic screening, and using screening data. 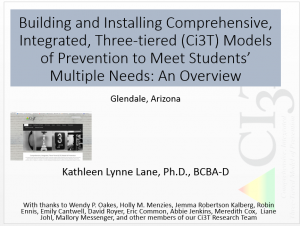 Implications for primary prevention prevention efforts, teachers, and student-based interventions at Tier 2 and Tier 3 are covered. 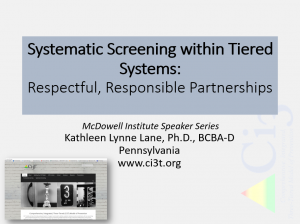 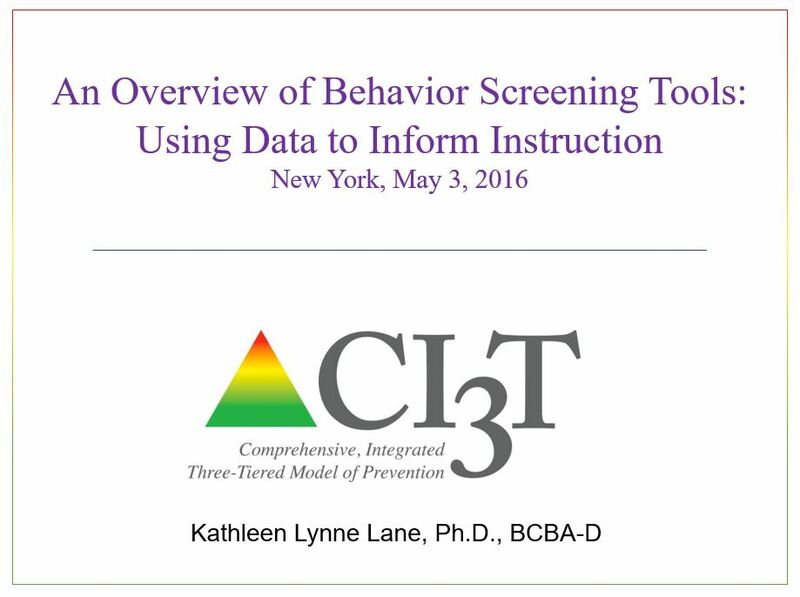 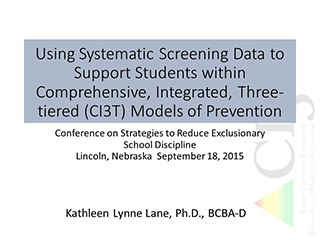 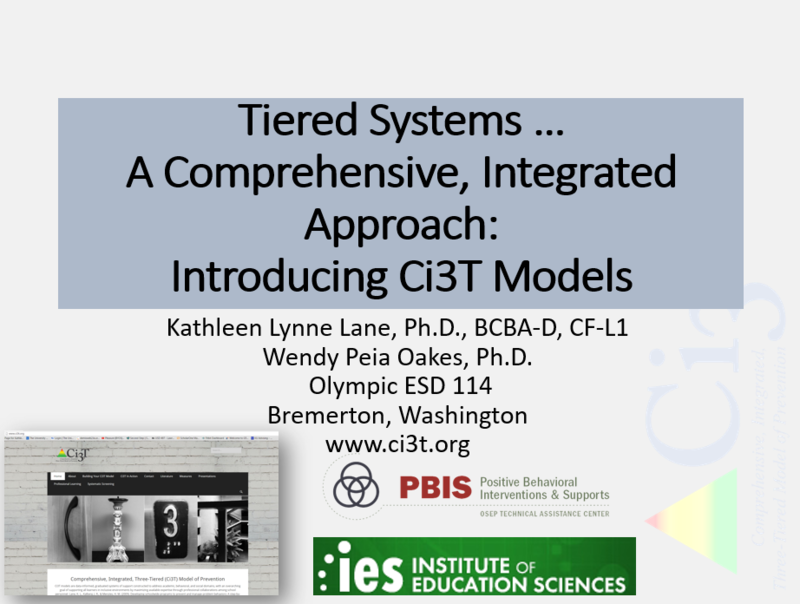 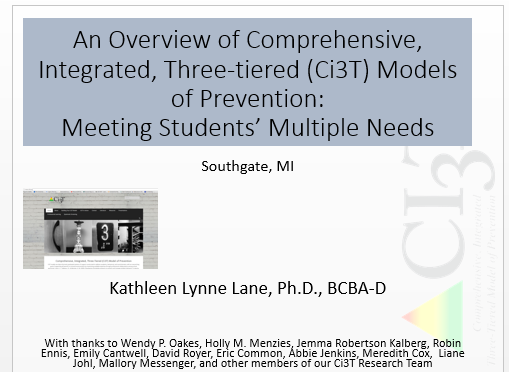 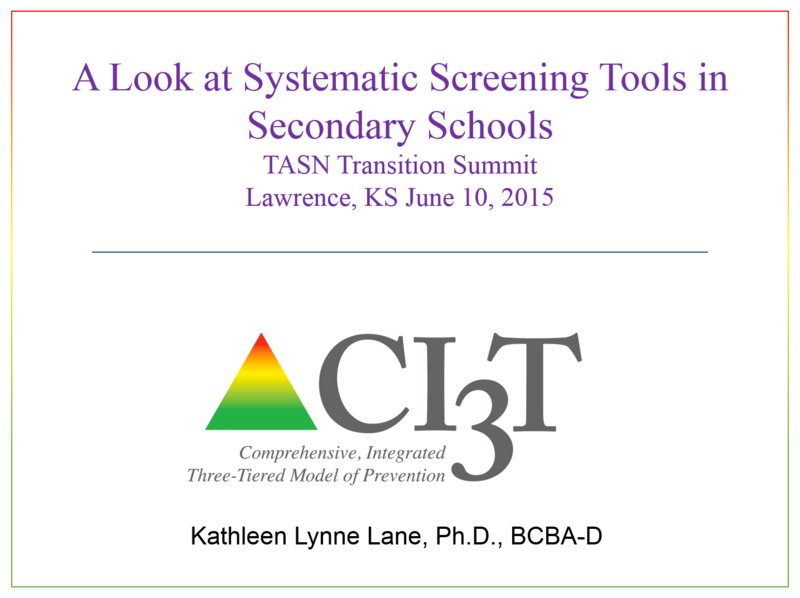 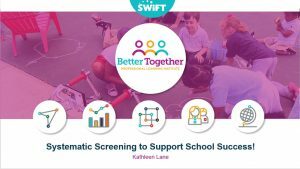 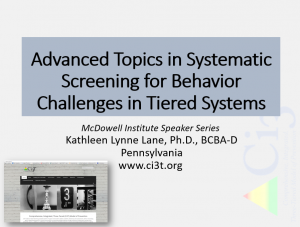 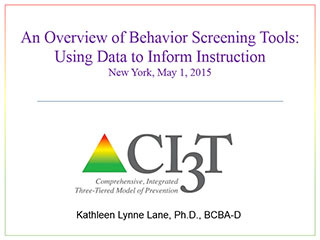 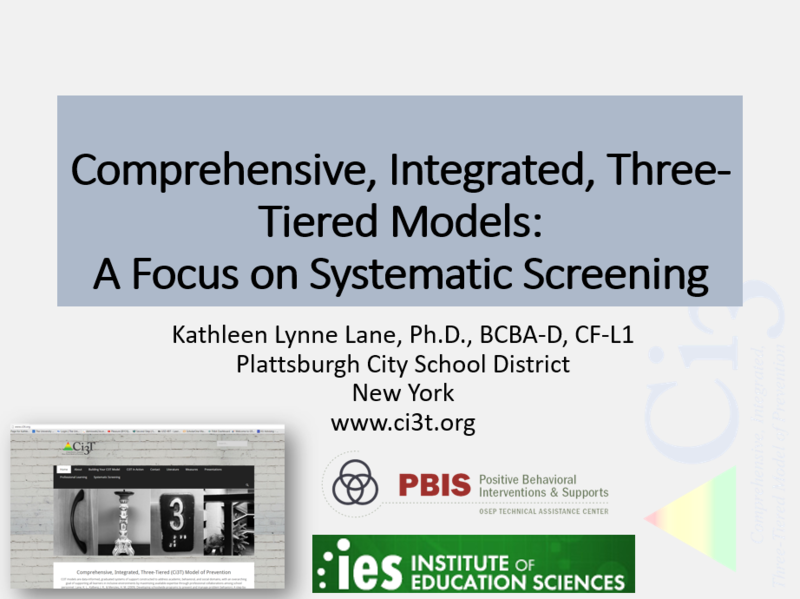 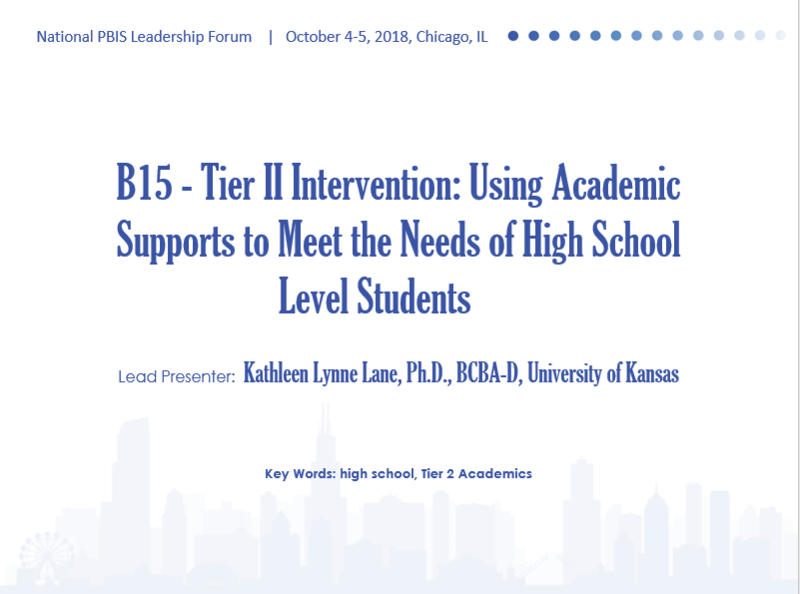 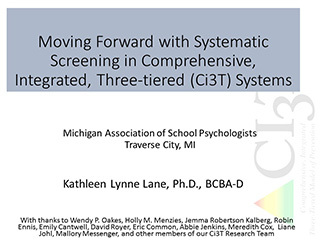 This presentation reviews comprehensive, integrated, three-tiered (CI3T) models of prevention, the importance of systematic screening, and using screening data in conjunction with primary prevention efforts and with student-based interventions at Tier 2 and Tier 3. 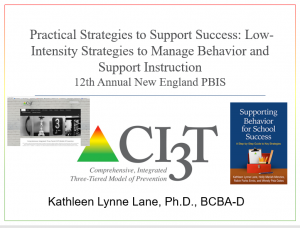 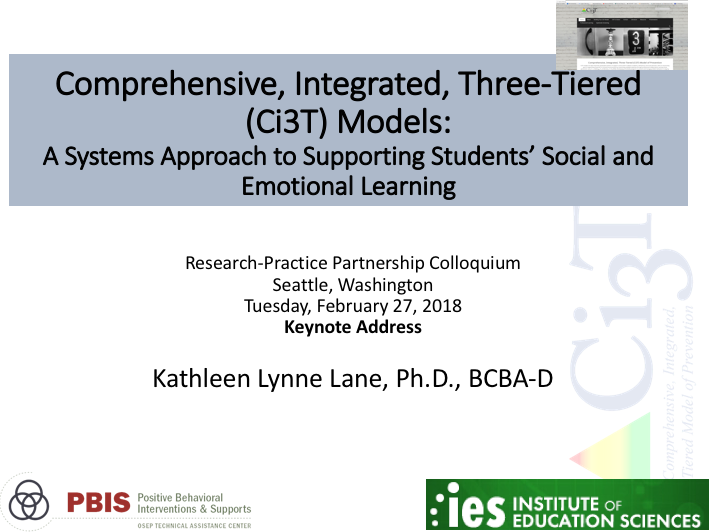 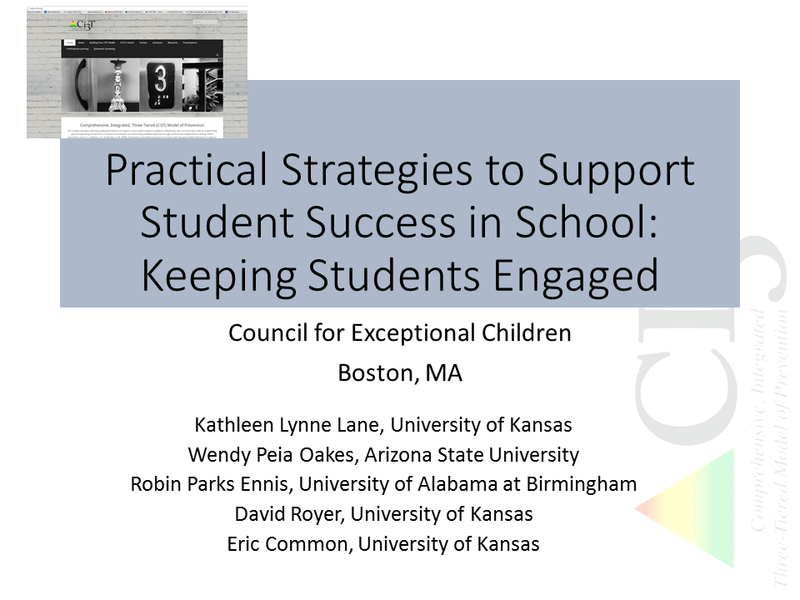 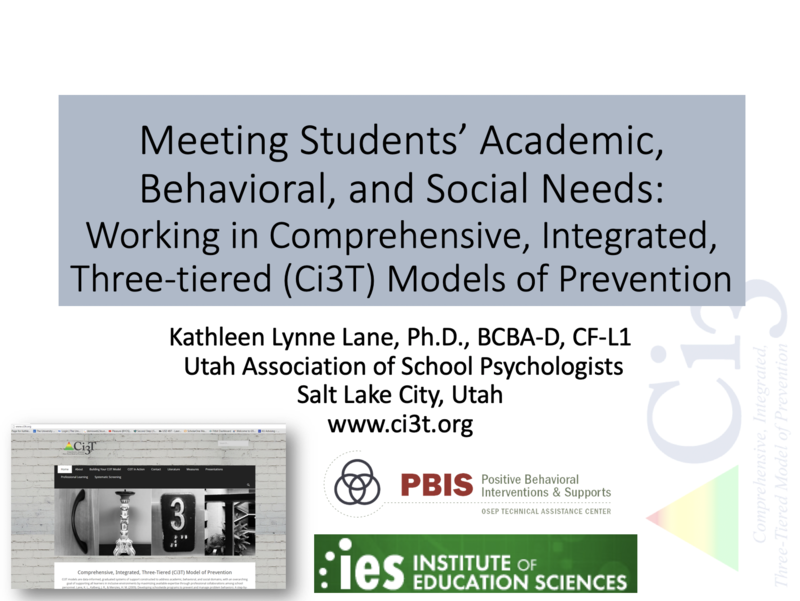 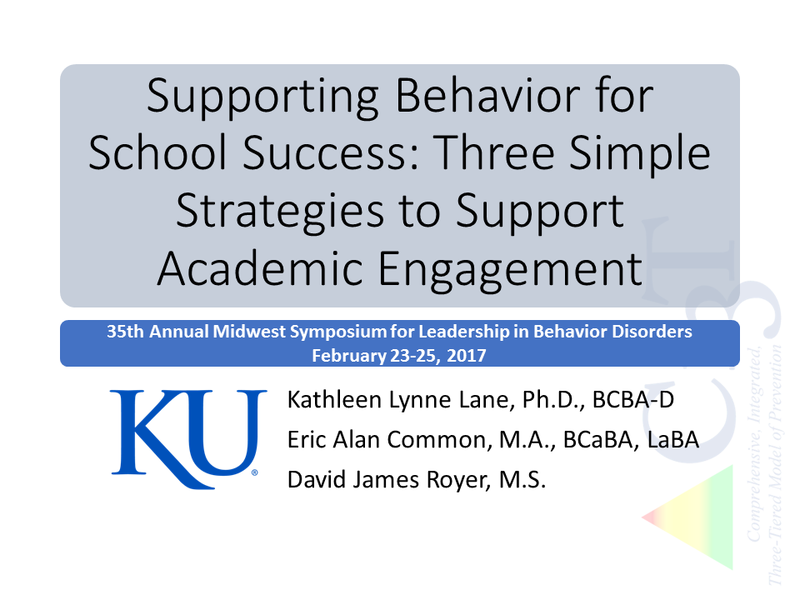 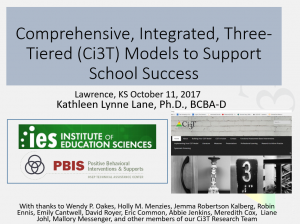 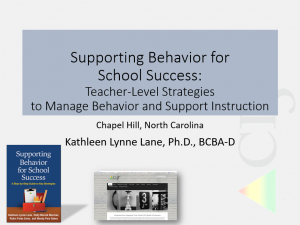 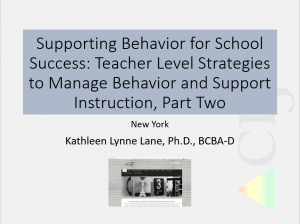 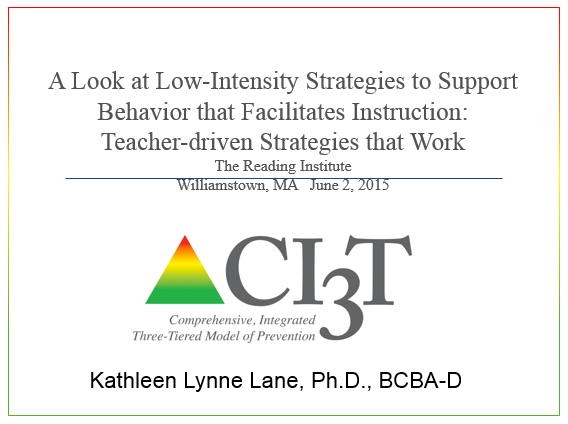 Within a CI3T model of prevention, Dr. Lane frames the use of low-intensity strategies for increasing student engagement, sharing research-based strategies to incorporate choice, increase opportunities to respond, and use behavior specific praise. 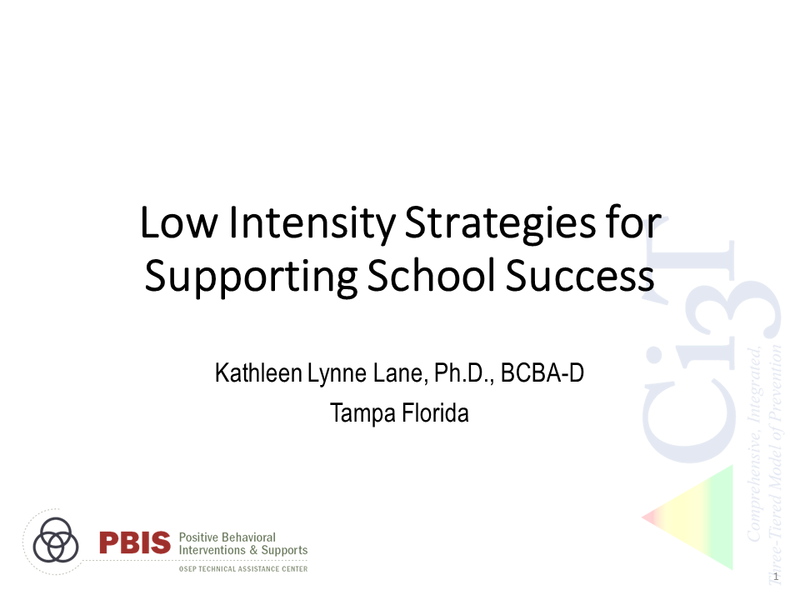 Implementing these low-intensity strategies with integrity, monitoring student performance changes, and measuring social validity are also discussed. 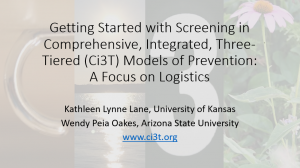 This presentation reviews comprehensive, integrated, three-tiered (CI3T) models of prevention, the importance of systematic screening, and using screening data. 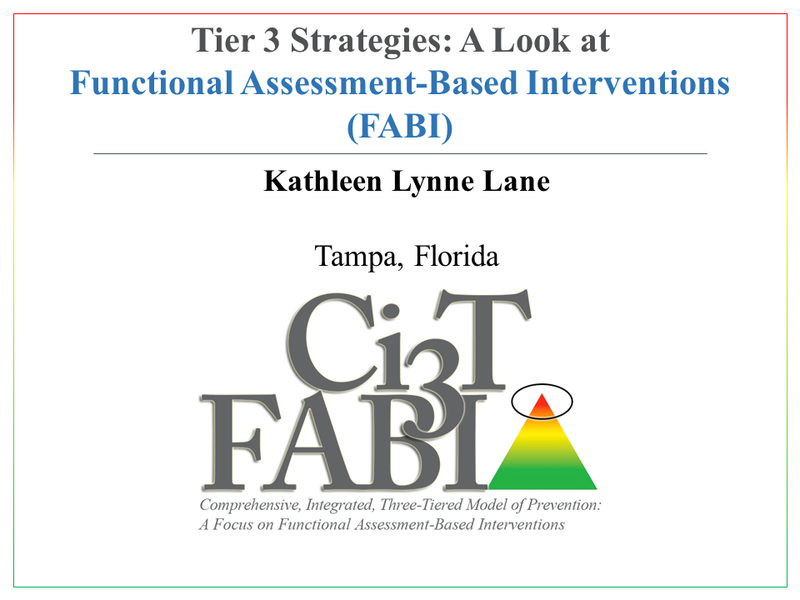 Implications for primary prevention efforts, teachers, and student-based interventions at Tier 2 and Tier 3 are also covered.